There’s a split second after every film ends when the storyline remains in the minds of the audience. Even as the credits roll, characters and emotions last. Unresolved scenarios rattle around like loose change. Every year, that magical moment occurs over and over again for multiple days during the Fargo Film Festival (FFF). What’s more, inner monologues transform into real-life conversations with writers, directors, and talent from across the country. Those special moments wouldn’t be possible without the expansive team of staff, board members, committee members and volunteers that put on the festival every year. To learn more about this year’s festival, Fargo Underground interviewed six members of the FFF team about their roles, experience and of course, which films are most anticipated. 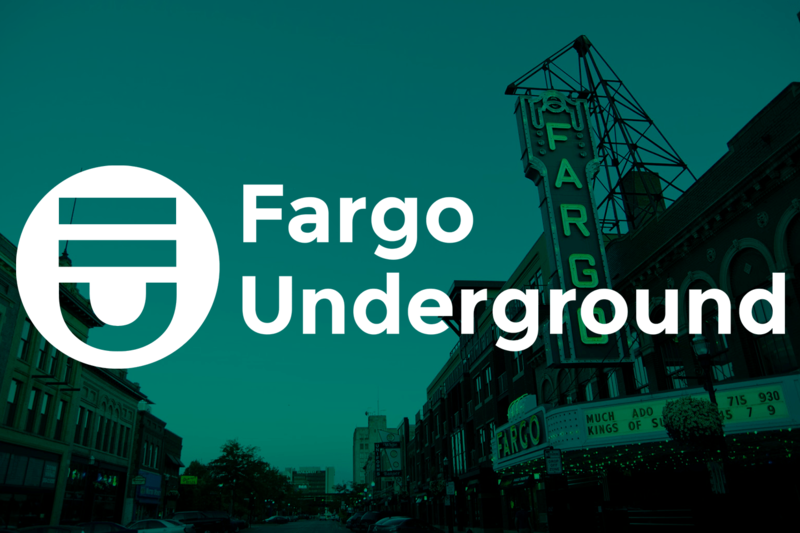 See our full list of Fargo Film Festival Screenings and Events on the Fargo Underground Events Calendar. From childhood favorites to recent reboots, movies have the ability to define personalities and push the boundaries of knowledge and companionship. King Kong on VHS, George Lucas masterpieces, and even deadly spider bites are all fond movie memories for these film festival insiders. The following questions give a brief snapshot of each interviewee’s personal film interests. What’s the BEST movie remake of all time? GREG: The original 1958 version of The Fly is awesome, and Cronenberg’s 1986 edition is even more awesome. TOM: I absolutely love Ocean’s Eleven (2001). There’s just no better word to describe it other than fun! DINAH: I don’t know about the best, but I enjoyed The Birdcage, A Star is Born (Streisand), and The Departed. CHRISTINA: I really enjoyed the Battlestar Galactica remake. If you could live a day in the life of any film, as a particular character or observer, which would you pick? CHRISTINA: I’d go all out cheese and give Morgan Adam’s life from Cutthroat Island a spin. KENDRA: I’ll throw a party in the house from The Holiday! I’d have some movies going in the theatre and make food in the beautiful kitchen. It’s time to tidy up your stash of VHS movies, which three would you save? SEAN: The original King Kong (the VHS box roars when you press on Kong), and the two cassette box set of Titanic and Speed. TOM: The original Star Wars trilogy, which was released on VHS one final time in 1995. My first interest in film, my degree from MSUM, and my career all trace back to those three VHS tapes. KENDRA: Drop Dead Gorgeous, Labyrinth, and The Princess Bride. CHRISTINA: Watership Down, Tombstone, and Arachnophobia. What is one movie character that best represents your personality or whom you aspire to embody? TOM: I see a lot of myself in Curt Henderson from American Graffiti. There’s something about Richard Dreyfuss as Curt that I just identify with. SEAN: I’d love to be as kind and considerate as Paddington. GREG: I want to have the tenacity, resolve, and iron will of Clarice Starling in The Silence of the Lambs. If you could only watch one movie at this year’s festival, which film would you choose? Why do local film festivals matter to the community? When did you first get involved with the festival and what/who led you to get involved? What was your first Fargo Film Festival experience like? If you could give advice to a newcomer, what would it be? “I first started by attending the 2-Minute Film Fest on Friday night. It was fun and ridiculous and impressive by turns, and every year since then I’ve been catching more and more of the films. Why do local film festivals matter to the cinema industry? “If ten different people asked me this question, I honestly think I’d give ten different answers! But since I was the Narrative Feature Jury Chair, I’ll mention our Best Narrative Feature winner Little Woods. The film was written & directed by Nia DaCosta, an emerging filmmaker whose next project will be produced by Jordan Peele. What was your first Fargo Film Festival experience like? “There’s something rather interesting about local film festivals. If they’re done right, they don’t stay local for long. The Fargo Film Festival has seen tremendous growth over the past 19 years, attracting films and talent from all over the world. That growth provides ample opportunities, not only for the festival’s audience, but also the artists and filmmakers. When did you first get involved with FFF and what/who led you to get involved. “My first Fargo Film Festival experience hooked me for life! I saw films I remember to this day, I talked to filmmakers from around the world, and I discovered the pure joy of a morning movie screening, coffee in hand. My advice for a newcomer is that the film festival is for you! “I worked at the Fargo Theatre during my undergrad at Concordia, so I got to experience the FFF as a theatre staff member starting in 2009. It was so cool to meet visiting filmmakers and get to know audiences members. Festivals are so special because they make movies come alive. You get to see the movies on the big screen and then speak with the artists who made them. If you could only see one movie at this year’s festival, which would it be and why? To learn more about the Fargo Film Festival, visit fargofilmfestival.org or download the schedule here for a full list of film showings from March 19-23. Ethan C. Mickelson grew up on a flat patch of farmland outside Rolla, ND. He has been stringing words into articles since he started writing for the The Turtle Mountain Star in high school. With travel experiences ranging across the globe, he is now exploring the corners of his new home - Fargo, ND. You’ve probably seen him sipping coffee, riding bike or working behind the bar at the Boiler Room downtown. Ethan received a degree in strategic communications from North Dakota State University and is pursing a career in public relations.